Just imagine, the title of this post, to the tune of the Who’s “Who Are You”, and change the word “who” to “flu.” My task is done, I have subliminally planted a song in your head that you cannot get out so easily, and of course, now you are now wondering what the two have in common. Nothing. 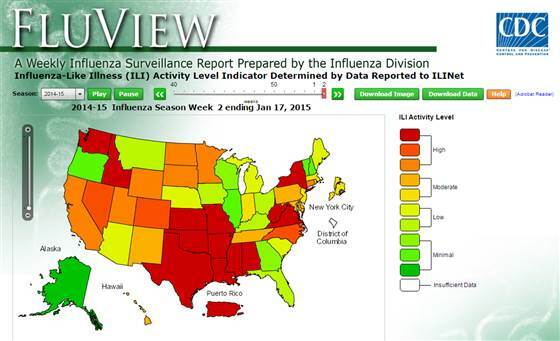 But, headlines are surging right now, as they do every year, about the current year’s flu epidemic. While serious, the media of course does its sensationalist work to prove your need for their service. For those of us that have minds of our own, and unlike the images presented in George Orwells 1984 where we simply need to place value in everything reported by the media. This picture is from a military base in Kansas from approximately 1918-1920. 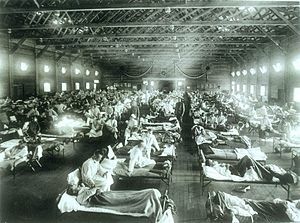 There was a major outbreak of what was called “Spanish Flu.” To keep morale under control, information was restricted. In this particular situation, mortality carried a fairly high rate, in the 10-20% range. Keeping that in perspective, given today’s population count, a dozen fatalities (not to belittle anyone who loses a loved one to the flu, and I will explain later) does not even equal 1/8th of a percentage of our population. But by allowing our media to sensationalize and validate their claims with our panic only proves the strategy used back in the early 1900’s not to propagate the panic that would be sure to follow. I have a very mixed opinion on vaccines, though clearly, the concept is well intended. To vaccinate or not is an individual decision, and needs to be considered carefully. We have to admit, were it not for the polio vaccine, the small pox vaccine, and others like it, our society would be devastated. And medicine has produced vaccines to help eliminate disease or prevent the contamination of diseases such as chicken pox, mumps, and measles just to name a few. This is supposed to be a good thing, and for the most part, from being required to attend school in the later part of the 1900’s, outbreaks were kept to a minimum. Then the internet hit, and people were not only able to get information on vaccines and their risks, but they were also able to share the information. For once, prevention was not just in the hands of medicine, but now the patient. And I have to admit, right now, I am not a doctor. I do not play one on television. I should not be making medical decisions, but rather I should be informed enough to make those decisions, and they should be up to me. I am not the only one to feel that way. And many object to vaccine’s for many personal reasons. Personally, I believe that only if the risk of the vaccine is worse than the disease itself, then that is pretty much the only time an exception should be given. I do not believe in making an exception for religion or personal belief as such. But it is not up to me to force my wishes onto someone else. 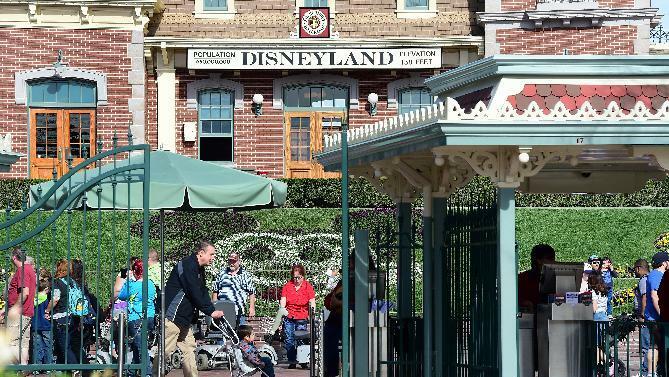 A measles outbreak, though definitely not the only one, but clearly one that has gotten attention because of where the outbreak is taking place, occurred recently at Disneyland in California. All it took was one person, not necessarily infected, but carrying the measles virus, and over fifty people have come down with the very contagious virus. And because we do not know how many other have been exposed, and possibly not immune, the measles has continued to spread. There are always the warnings when we have outbreaks about who needs to be protected… the young, the very elderly and weak, those with compromised immune systems. Here I am pictured with two of the many important decision makers in my life. They are also big vaccine advocates. And they should be. They know more about my individual immunity concerns, than most medical professionals in the country. 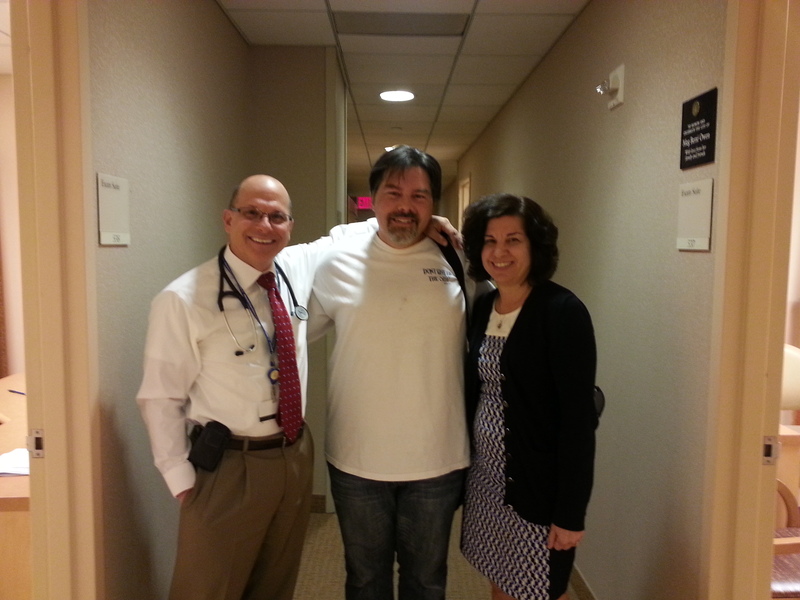 Brief history, as part of my cancer diagnostic staging, my spleen was removed. This, in spite of my young age, has left my body challenged immunologically. A simple case of strep throat exposure from someone has the potential to be fatal to me just as one example. So as you can see, I not only have to be concerned for my own exposure, but be concerned who around me might not be vaccinated. To be real, I cannot live my life in a plastic bubble, and I generally do not. I have flown. I have cruised. I have ridden the bus and subway. I have done what I have to, which only makes it more curious my strategy for dealing simple illnesses that have potentially fatal consequences for me. Two areas of concern for those of us immunologically challenged are pneumonia and meningitis which there are vaccines. In fact, one of the first vaccines I received prior to the removal of my spleen was for pneumonia. But the trick was, this was supposed to be a lifetime vaccine. Newer and current research has revealed this was not the case, and blood work for titers has confirmed it. Not only due to the different strains and types of pneumonia, by the lack of a spleen meant I would actually undergo seven pneumonia vaccines in a two year period to get my body back to the level of protection necessary. And similarly I had to get a similar number of vaccines for meningitis. But here is the kicker. I still came down with pneumonia, twice within nine months, and neither case were related to the vaccine, but another issue. And so, he actually convinced me. And it was even more of a concern, that we were not just dealing with the flu, but now the swine flu which was a separate vaccine. And combine that with me needing to get the pneumovax, and not having a clear explanation of how to get all three of these, it was a recipe for disaster. And so I got the pneumovax one day, and two days later, I received both the flu vaccine at a local drug store, and the special swine flu vaccine at a specified location due to restricted supply. The restrictions were specific, young, elderly, pregnant, and people with compromised immune systems, which included me. I was hesitant enough about getting all the shots, but especially the swine flu shot. But the stares and glares as I received as I waited in line with the hundreds of small children, seniors, and pregnant mothers, I was the only one that looked like I had no reason to be in line, though clearly I did, I just did not look the part. Even when it came time to get the vaccine by the technician, the grilling I got, though I understood, undermined my self esteem because I did not want to be getting the shot in the first place, but I was, and still am very self-conscious about discussing some of my details with total strangers in a public setting like that. But I did receive all three vaccines, which clearly should not have been given that close together, but were. And I was sick as a dog from the reactions. I challenged my body too much, too soon. It was also the last time I got any of the vaccines. Foolish, yes. Could they be the difference in living for me? Yes. But for now, I rely on a card in my wallet that after seeing my med alert bracelet telling them to find the card, the instructions are clear on how to handle my challenged immune system. And it was that conscious decision I made to not get the flu vaccine again. And though I can admit that it is foolish on my part, it is for my protection from everyone else, not for me to keep from exposing anyone else, I still hold to my decision. No matter what my decision, I still need to use common sense. Wash my hands not only in public, but at home. Cover my mouth and nose when I cough or sneeze. And if I do have an illness that can be contagious, I stay at home and isolate myself so that no one else might get it. And just so you know that I understand the risk I am taking, stay tuned for a future post on my first battle with pneumonia. But just as I mentioned at the beginning of this post, imagine if the media were just as concerned for those who have challenged immune systems like me, and they would actually use their sensationalistic skills were used for the good instead of instilling panic to suit their often political and rating needs.